If you think that animals don’t have any feelings then this view might just change after you read this tweet below. 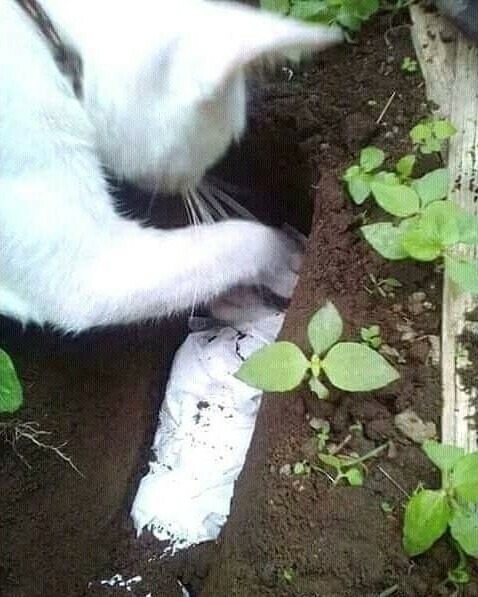 A netizen who is believed to be from Indonesia (based on the tweet’s language) shared a video of an adult cat “burying” a little kitten. 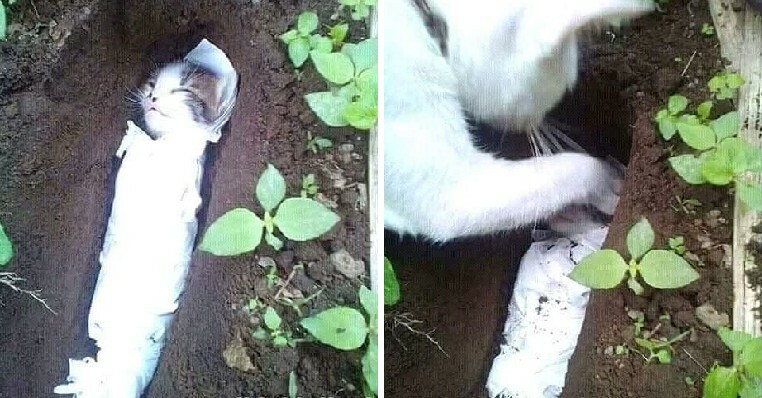 There were photos of the kitten lying in a little grave that is believed to have been dug by the owner while the mother cat gives it a last goodbye. 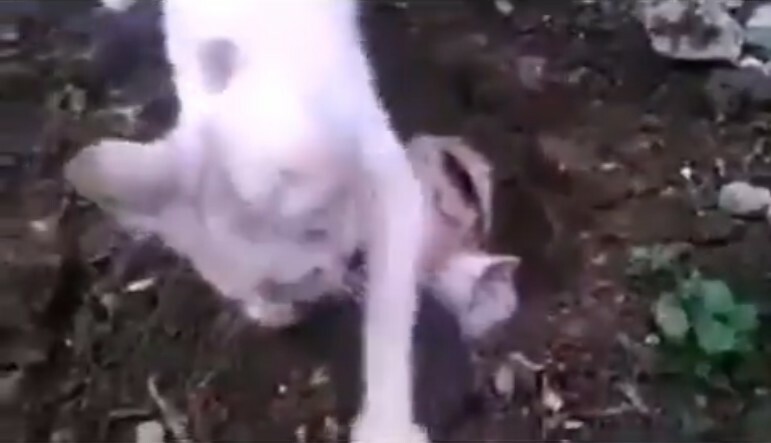 The attached video also shows the mother cat shovelling dirt into the grave as she buries her own baby. 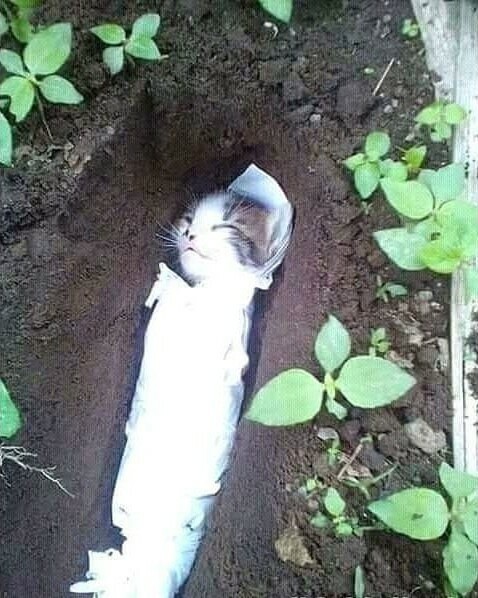 So heartbreaking! She said that these animals were living, breathing creatures and that they were just helpless, innocent creatures. Even if you don’t want them in your home, you don’t have to be cruel! She’s right though! 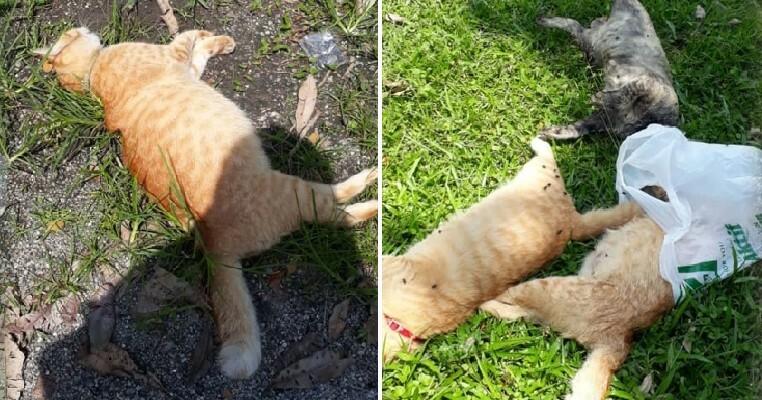 Other users who saw the video were touched by the mother saying goodbye to her little one and some of them even said they had tears in their eyes. Be kind to other creatures, guys. Those poor animals don’t mean any harm!